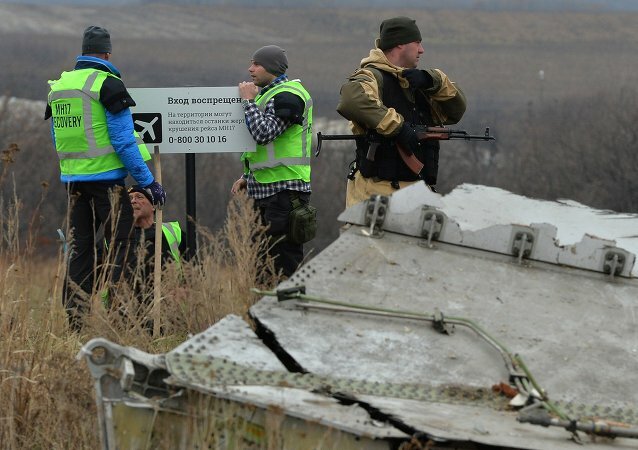 The Dutch team investigating the MH17 Malaysian Airline crash in eastern Ukraine report it has problems collecting debris from the crash site in eastern Ukraine. But aren’t these problems largely of their own making? And isn’t this just one glaring example of the Catch-22 situation presented by problems of recognition in Ukraine? On the one hand the investigation team has problems organising recovery of material – but on the other hand they refuse to negotiate with the authorities controlling the crash zone! Isn’t the solution obvious? – Talk to the local authorities. Don’t try to pretend they don’t exist and attempt to do everything through intermediaries like the OCSE. The issue is just too important to allow such distraction by childish political games. This impasse has gone on long enough. Four months since the crash and there has been no recovery of any of the crashed plane parts. This could have been done months ago. People are getting impatient – they want answers and the Dutch investigators are now criticised for dragging their feet. The situation has became more urgent because of the impending winter and the possibilities of destruction of evidence by shelling of the remains. I can’t help thinking that even this military action, violating UN resolutions on the tragedy, could have been stopped if the Dutch investigators had manned up and applied more pressure on the Kiev government. After all, it is not the rebels who are shelling this area. I understand the wish not to imply recognition of the rebels. But the Malaysian government negotiated with the local authorities right at the beginning and quickly obtained the recovered black boxes and began the task of recovering the passenger bodies. No recognition was implied by the contact – simply the willingness to discuss the practicalities with the people in the area. Why cannot the Dutch investigation team do the same? The Dutch investigators claim it is because the government in Kiev does not want them to. But that did not stop the Malaysians. Nor should that be a real consideration considering that elements of the Kiev regime are possible suspects in the shooting down of the plane. Ukraine’s attitude towards Malaysia did cool because of those direct negotiations. But the Kiev regime itself is caught in its own Catch-22 with its unwillingness to imply any recognition of the rebel regimes in the Donbass. Right from the beginning, the day before the coup in Kiev (see Agreement on the Settlement of Crisis in Ukraine), agreements on Ukraine have referred to the need for constitutional reform in the country, and the need to involve all parts of the country in negotiating a new constitution. Neither the junta resulting from the coup or the subsequent elected president and government have shown any willingness to honour that aspect of agreements. They have negotiated with themselves and the oligarchs – but never with the real authorities in power in eastern Ukraine – or the people who support them. Even the Trilateral Contact group on Ukraine which produced the recent cease-fire agreements did not have proper representation from the Kiev regime because they refused to negotiate with the representatives from Donetsk and Luhansk. Instead the Kiev government worked through the Second President of Ukraine, L.D. Kuchma. Again, there is the wish not to imply recognition. Interestingly Kiev been on the receiving end of that dilemma as the government of the Russian Federation did not recognise any presidential authority in a regime that had come to power via an armed coup after evicting a democratically elected president. That was eventually resolved when new presidential elections brought Poroshenko to power – and in the interim other forms of contact were used. I think this shows that non-recognition does not mean that contact and negotiation is impossible. Nor does negotiation imply recognition. Since the February coup there have been presidential and parliamentary elections in Ukraine and a referendum plus parliamentary and government elections in the Donbass. One can easily find fault with all these elections and the referendum but the important thing is that they have given a degree of legitimacy to the governments in Kiev and the Donbass. This means their officials have increased authority in any negotiations – which surely makes possible better progress in stopping hostilities, carrying out constitutional reform and settling the degree of autonomy granted to the Donbass region. Instead, the Kiev government is using the increased legitimacy in the Donbass as further reason not to negotiate. The Prime Minister Arseniy Yatsenyuk wants to abandon the Minsk talks altogether and go back to the Geneva negotiations format which did not include representatives of the rebel forces. Yet, surely, negotiation between both sides in this civil war is the only way to reach the peaceful settlement which most Ukrainian’s want. Does this imply the Kiev government refuses to try to reach a peaceful settlement? How can Yatsenyuk claim such negotiations are useless when he has consistently refused to even try them? Whatever – his approach does not seem politically mature. Negotiations should never be seen as a sign of weakness, but rather a sign of strength which comes with a willingness to deal with realities on the ground.